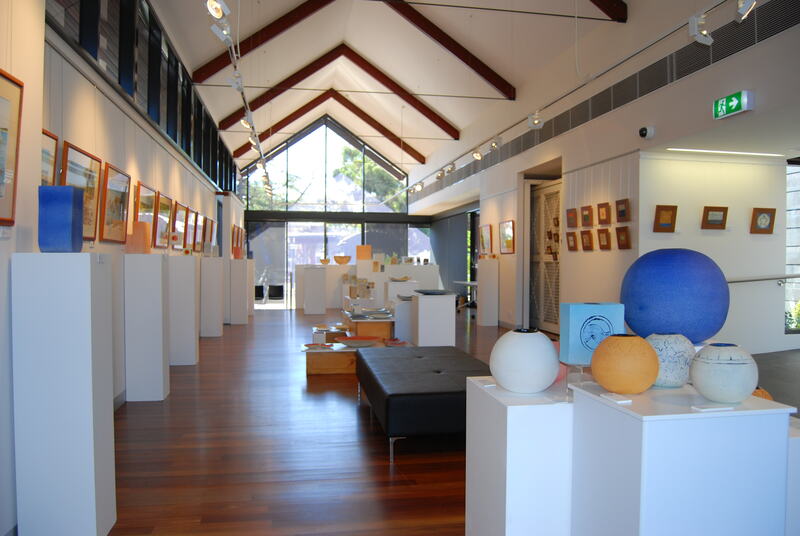 An exhibition of ceramics and pastel drawings from the “Way Out West Series” by Joel Smoker is currently showing at the Zig Zag Gallery in Kalamunda, Western Australia. 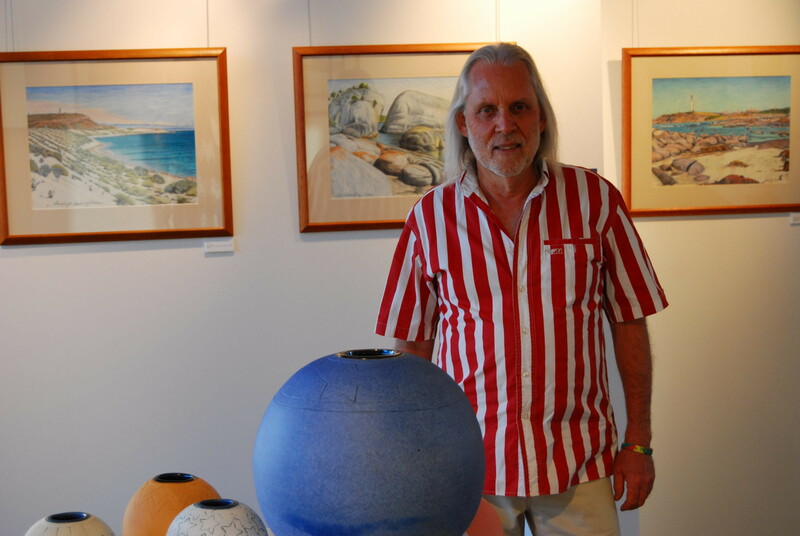 The exhibition was opened on 12 April by Bela Kotai, a celebrated West Australian ceramicist. A copy of Bela’s speech is up on Joel’s web site at www.joelsmoker.com. 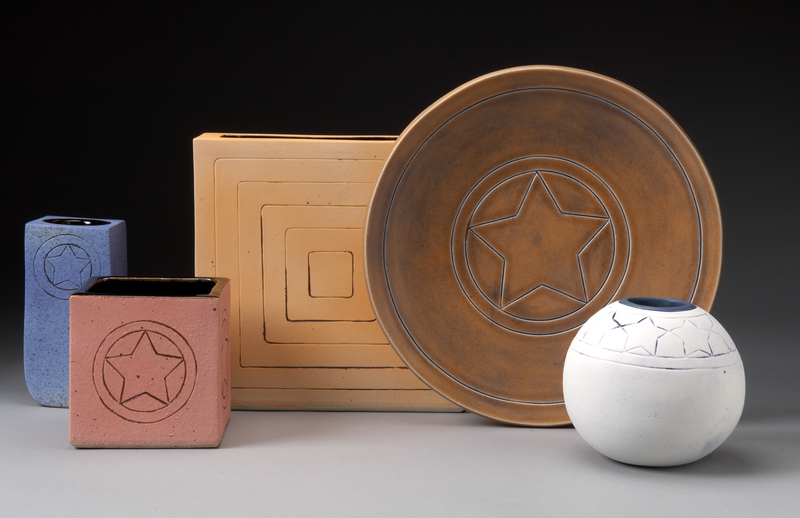 With the ceramics in this exhibition Joel has pared down the forms and the surface decorations to the basic elements of circle/sphere, line and square/cube. The decorations include the symbols of the star, the wave, the triangle, the square and parallel lines, symbols which can find their echo in the Australian landscape. Joel has also referenced the colours of the Australian landscape in the dry glazes on the surfaces of the three dimensional forms and in the matt glazes on the surfaces of the square plates and circular platters. All pieces are fired to stoneware temperature. Twenty drawings from the Way Out West Series are also featured in the exhibition. These pastel drawings are of iconic places from around Western Australian that Joel has visited over a twenty year period. There are 50 drawings in the series and they have been published in a book titled The Way out West Series. 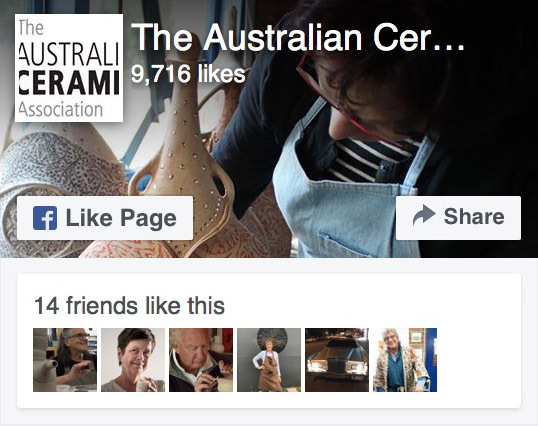 The exhibition closes on 4 May.